Poppy Carmichael, 30, certainly never intended to own a florist. 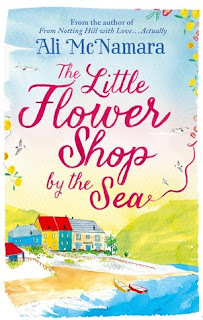 But when she inherits her grandmother's beloved flower shop on the beautiful Cornish coast, Poppy has no choice but to return to the pretty harbour town of St Felix where she spent much of her childhood. 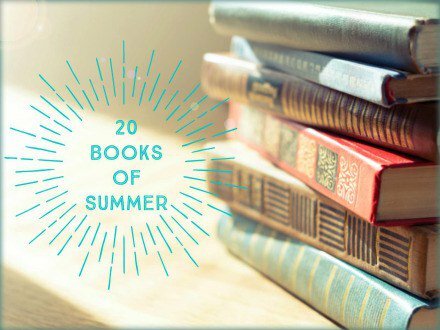 This was Book Number Two in my #20booksofsummer challenge read and I loved every single minute of it!! So glad I chose to read it as it had been sitting on my bookshelves for quite a while - just wish I'd read it sooner!! 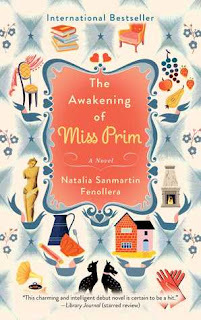 This is one of those books that shows Chick-Lit off to its' best!! A wonderful setting, beautifully described characters all with their own tales to tell and just a lovely paced story that leaves you unable to put the book down once you start! Oh, and tears!! Always a good sign that a book has made a connection with the reader, if you are reading through pages with tears in your eyes..... this may have been me for a few pages!! Poppy moves back to St Felix after the sad death of her beloved grandmother, who leaves her The Daisy Chain flower shop to take over - not so easy for someone who has no interest in flowers! Poppys immediate thought is that she will probably close the shop down but she soon gets swept under the spell that St Felix seems to cast over the inhabitants and wanting to do the right thing by her grandmother she agrees to stick around and give it a go. Throughout this book you are introduced to a wonderful community of weird and wonderful characters who all have their own tales to tell, and it is fascinating to see the impact that all of the characters have on one another as they seem to pull together and help one another out. There is also a slight magical element to the goings on in the flower shop, and this is a really sweet part of the story and might make Poppy start to see just what effect flowers had on her grandmother and those she knew. Highly recommend to anyone who is looking for a perfect escape book! I will definitely be reading this again in the future when I need to laugh and cry! anyone read it?! hope I'm in for another good read! !